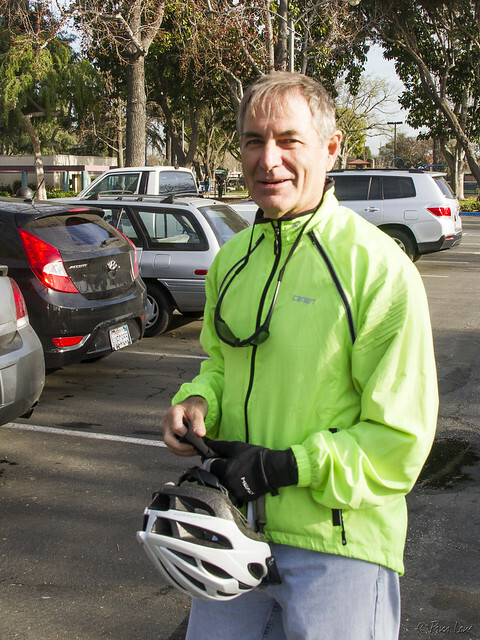 On the last Saturday of each month, the Downey Bicycle Coalition holds a Community Bike Ride. The members of the Coalition are passionate about making bicycling a safe and accessible activity for all. The Coalition was started a year ago by Downey resident and biking enthusiast Lars Clutterham (right), who is a long-time proponent of bike lanes in Downey. "I would be delighted to see new bike lanes. I'd do cart wheels on my bicycle, if I could," Clutterham said in an interview with the Downey Patriot. 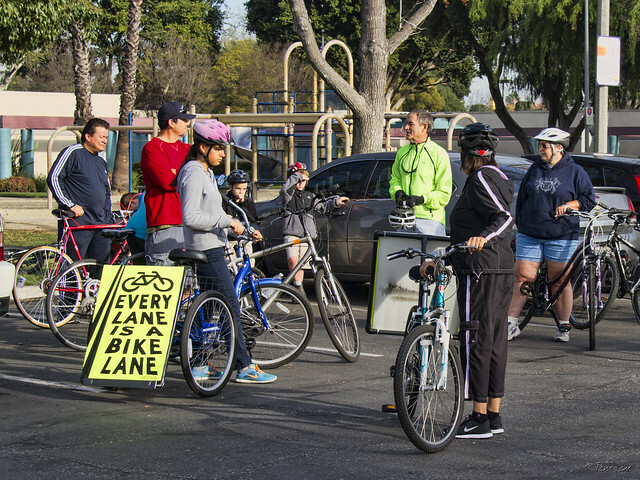 The city of Downey has been awarded $225,000 in state grant money to produce a bicycle master plan, the first step in what could eventually lead to bicycle lanes in Downey. Each month, the Coalition invites everyone to meet at a local park, and then ride together on a path that has been mapped out by the Coalition leaders. This month's ride took them from Furman Park to Treasure Island Park, and then to the Rio Hondo Riverbed and back to Furman.